College access is a pressing issue facing education equity today. 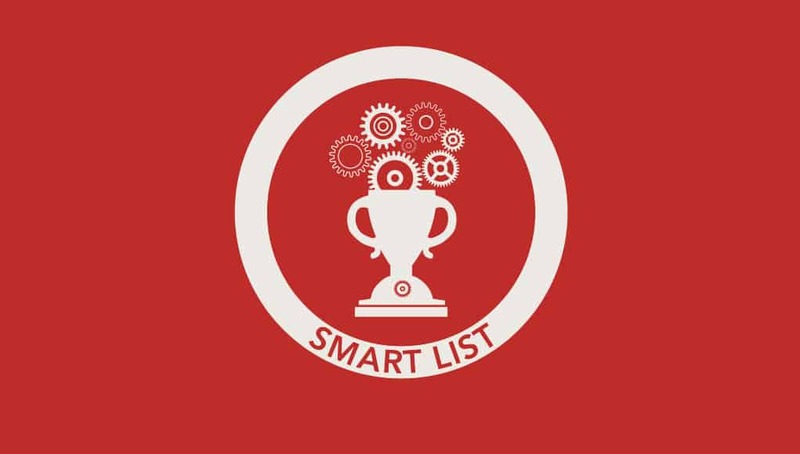 In today’s Smart List, we’re recognizing 50 organizations spreading college awareness, boosting college preparation, and encouraging college completion—with a special focus on low-income and first-generation students. For more great local programs, see FirstGEN Fellows. Check out Capital Region Sponsor-A-Scholar, a 20 year old college success program working in Albany, Schenectady and Troy, NY. TRIO College Awareness (Talent Search), Readiness (Upward Bound & McNair), Access (Educational Opportunity Centers & Talent Search) & Success (Student Support Services) Programs. Contact U.S. Department of Education’s Office of Postsecondary Education at OPE_TRIO@ed.gov for more information about these federally-funded educational opportunity programs across the U.S. We have a TRIO Talent Search Program in the Chicago Public Schools and many others in local postsecondary partner institutions supporting our schools and students. We had another reader suggest TRIO as well, noting that Student Support Services alone helps that specific demographic of students graduate from college at a 10% rate higher than their peers. Let’s Get Ready is doing really good work throughout the Northeast – providing college access and success support. Thanks for highlighting all of these organizations! You should also check out the HEOP program (Higher Education Opportunity Program) that has been in existence for 47 years through the state of New York! Two more great organizations: Say Yes to College and On Point for College. Also, in addition to the federal programs, state grant agencies provide over $10 billion in grants and scholarships to students pursuing higher education – and help fill out the FAFSA! There are so many great organizations working in this space – thank you for beginning to compile a list! If you’re in Tennessee, check out the Tennessee College Access and Success Network – a non-profit member organization that is committed to increasing the number of Tennesseans with college degrees. Also, anyone can use the website The TalentED Project – it is a free resource that connects college access programs with admissions recruiters at selective colleges in order to increase the pipeline of first generation and/or low income students at these schools. N2College® Nationwide PreK12 Admissions ,Scholarship Prep, & Pre-Career Consulting Is The Home Of The $cholar$hip Jump$tart™ PreK12 Program & Has Been Assisting Future College-Bound Students & Families Since 2005 In All (50) States & (28) Countries Create, Develop, Revise, & Implement A Personal $cholar$hip RoadMap™ That Results In The Student Receiving The MAXIMUM Amount Of All Main Categories Of Merit-Based Scholarships PRIOR To High School Graduation. Working With Families|K12 Schools|501(c)3s|Federal TRiO|State/County DHR Programs. Over $22,000,000 Awarded To Our Student-Clients To Date! Doing Our Part Daily 2#MakeCollegeCostLess™! Since 1981 the non-profit Council for Opportunity in Education (http://www.coenet.org/) in Washington, D.C. has helped expand college opportunities throughout the U.S. for low-income, first-generation students, and students with disabilities. It works primarily through its 900 member colleges, universities, and community agencies that host the federal TRIO outreach programs that help almost a million students each year to enter and graduate from college. COE also houses the Pell Institute for the Study of Opportunity in Education, which conducts and publishes research and policy analysis for policymakers, educators and the public to improve educational opportunities and outcomes for low-income, first generation and disabled college students. College Possible is a College Access and Success program that supports students to and through college graduation. We operate in six cities across the country, and support students on college campuses across the entire country. As a college counselor, I find myself more and more in need of the resources you’ve provided — thank you for them. https://www.collegeessayguy.com/matchlighters), which awards high-achieving, low-income students with 6 hours of free college counseling. We serve transfers, international students, gap-year kids, grad and undergrad, etc. of all shapes and sizes, from any location with internet access, and we’re a branch of an essay revision organization called College Essay Guy. I would love love love to add Matchlighters to your list! Great resource, Megan. We appreciate you putting together the comprehensive list of college access resources for current and prospective college students. The mix of government-sponsored programs and private entities should prove useful to college-seekers far and wide. Since cost is often a substantive barrier for many high school graduates and young adults, the addition of the scholarship sites is well placed. Keep up the great work & helping to provide valuable resources for students of all ages and abilities. Continued success! The TEAK Fellowship in NYC. The TEAK Fellowship believes that motivation and potential, not economic circumstances, should determine a student’s future. TEAK unlocks access to outstanding education and transformative experiences for exceptional NYC students, who use these opportunities to change their lives and the world around them. TEAK is a free program that helps talented students from low-income families achieve their potential. Through intensive after school and summer classes, TEAK prepares middle school students to get into the nation’s most selective high schools and colleges. TEAK’s strong support system ensures that students thrive in their independent (day and boarding) high schools and graduate from college, ready to pursue their professional goals and positively impact the world. Thanks for sharing, Tara! Looks like TEAK is doing great work.